The holidays are just around the corner, which means it’s just about time to celebrate the season with colleagues. 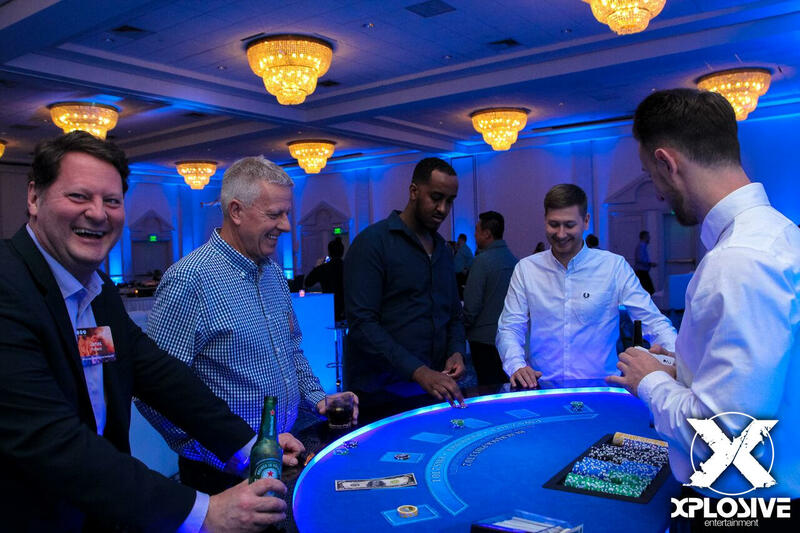 As another year of corporate success and growth comes to a close, you’ll want to reward your team’s hard work with a soiree worth attending and remembering. So, how do you turn an ordinary, obligatory holiday party into something fun and extraordinary? Never fear—the Xplosive Entertainment team is happy to get you on the right track with these recommended enhancements. Each one is completely customizable to your company’s unique needs, and capable of exceeding your team’s collective expectations of what a holiday party should be. 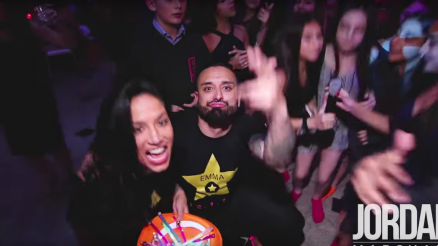 The quickest and easiest way to elevate your party is through music. Too many corporate gatherings are “DJ”-ed by a co-worker’s phone through a set of puny speakers. This makes for a disorganized and lackluster atmosphere that’ll definitely weigh on the spirit of your celebration. Instead, consider booking a live musical act to soundtrack your holiday party. Doing so will make a huge difference that won’t go unnoticed or unappreciated by your colleagues. 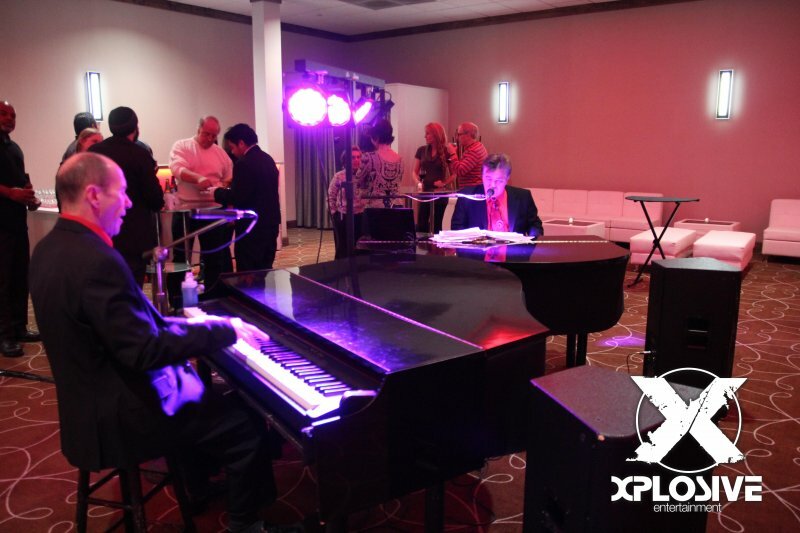 Dynamic acts, like dueling pianos (pictured above), provide unique excitement while traditional guitarists, pianists, duos, and trios create the perfect ambiance for an upscale soiree. Regardless of the route you take, live musicians will keep your guests energized and entertained throughout the duration of your corporate event. Bonus Tip—if you’re looking for something a little more interactive, consider booking a DJ-Live Musician hybrid act. Your DJ can spin hit music throughout the night while one or multiple live musicians play along. What is there to do at your corporate event? Music and catering aside, most holiday parties aren’t equipped with any structured activities for guests to enjoy. 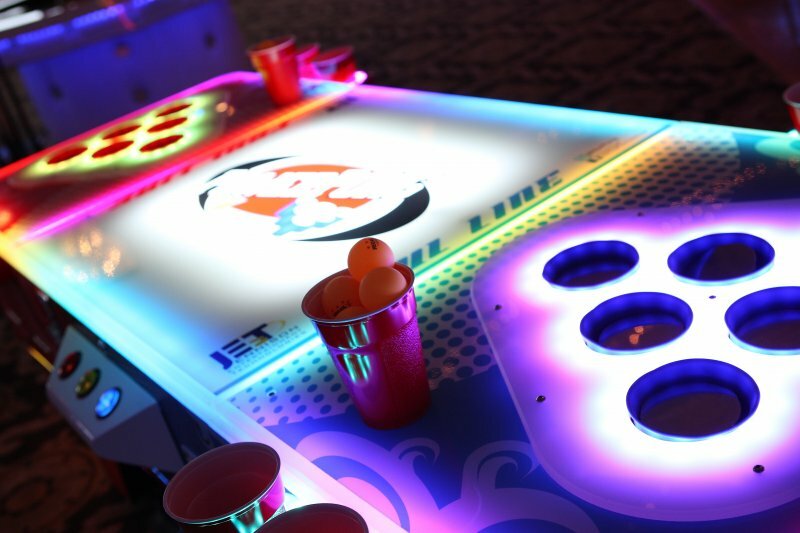 The perfect way to avoid boredom and early departures is with arcade, tabletop, and casino style games. 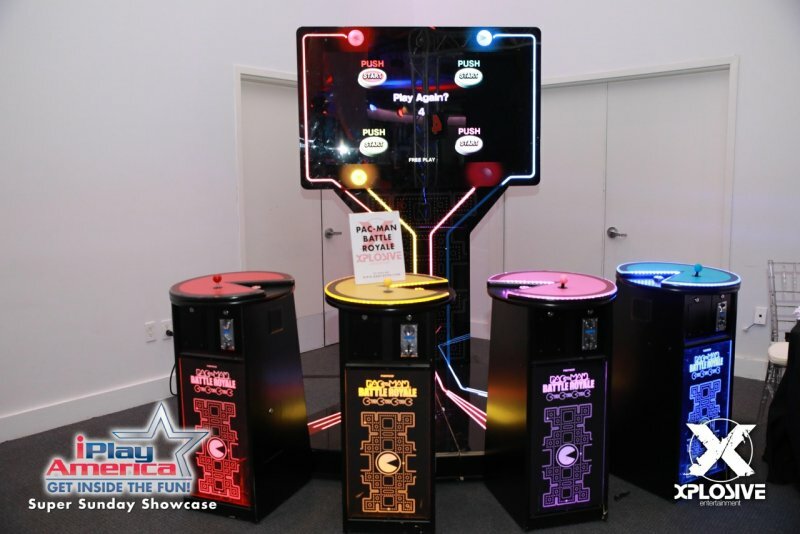 From oversized Foosball and air hockey, to LED pool, pong, roulette, and black jack tables, to a retro Pac Man Battle Royale setup (pictured above), the possibilities for gaming enhancements are near endless. 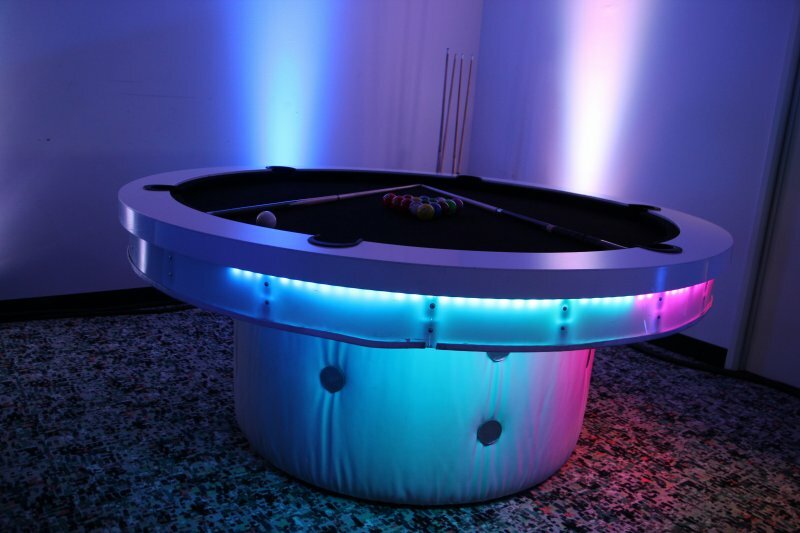 Make your party memorable with a selection of games and activities for your guests to choose from. Then, watch as friendly competition entertains and builds up your team. You can even offer company branded swag as prizes or incentives for playing. Take some time to gauge the interest of your coworkers, and see what kind games would best suit their tastes. With so many incredible options on the market, you’re bound to find the perfect fit for your particular party. One more way to wow your colleagues at your annual celebration is with a fun food station. From pop-up cafes, to miniature convenience stores, to popcorn and candy bars, a custom snack station is the perfect enhancement to leave a lasting (and delicious!) impression on your team. Introduce your station early on for a one-of-a-kind cocktail hour, or have your colleagues pick up snacks as souvenirs on the way back out to their cars. 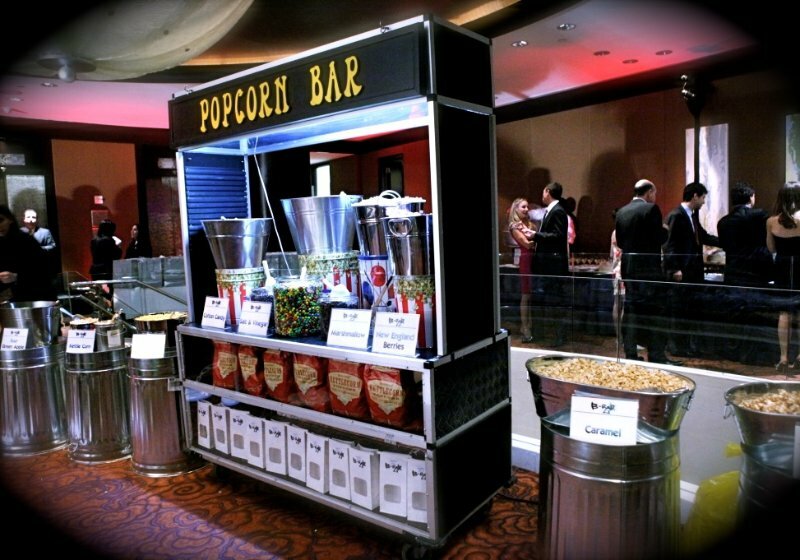 Either way, these food stations can be completely customized to your company and party’s theme. Don’t be afraid to think outside the box—the more creative you get, the more memorable it’ll be! If you’re looking to go above and beyond with your holiday gathering, consider adding unique and mesmerizing talents to your entertainment roster. Imagine the impression that cirque inspired performers (pictured above) will make on your colleagues. Or, dazzle them with a strolling magician or mentalist. A celebrity impressionist will liven up your party, too, while a digital caricaturist captures the awe and delight of your guests. 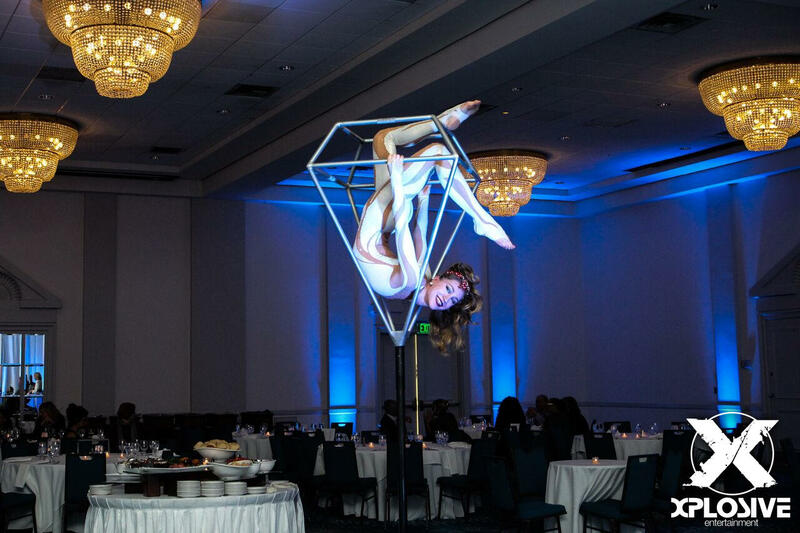 These enhancements are one-of-a-kind, customizable to your theme, and completely unexpected when it comes to a typical corporate celebration. Stand out with a spectacular show of talent, and leave your team with memories that will truly last a lifetime. Don’t let your corporate holiday party be run-of-the-mill. Celebrate your team and the season right, and get your colleagues excited with the promise of music, games, and unpredictable fun that they’ll talk about for years to come. For additional information on these enhancements and more, visit www.xeevents.com. 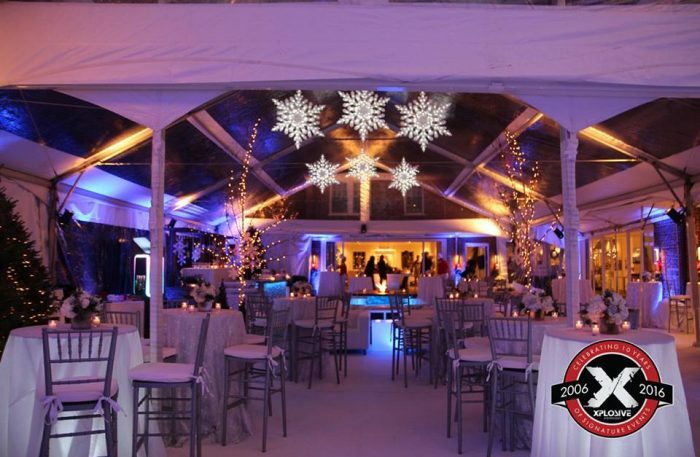 Our team is thrilled to help bring your perfect holiday party to life! This blog was written by Xplosive Entertainment, a signature styled boutique inspired events firm based in Manalapan, New Jersey. 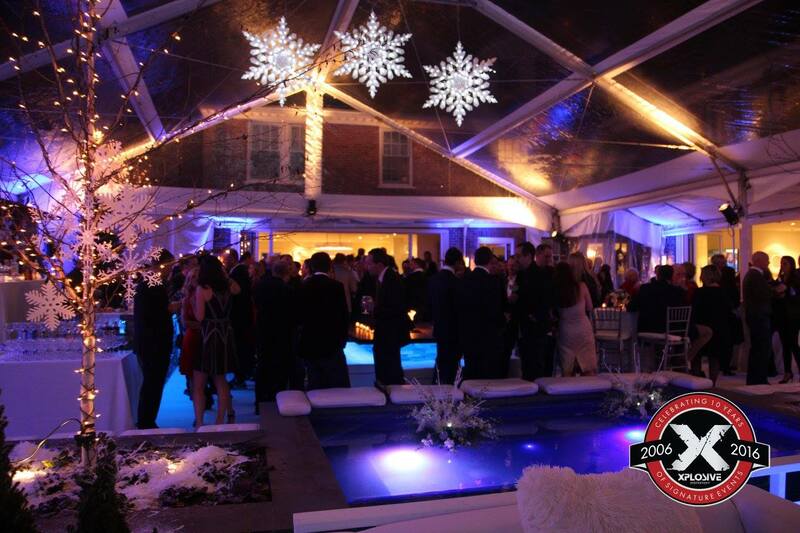 Xplosive Entertainment has been a leader in the private events industry for the last thirteen years. For more information, please visit our website or call 866.XPLO.ENT.